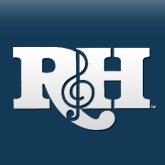 When I began working here at R&H, my first assignment was to oversee the re-working of Rodgers & Hammerstein's Cinderella. Actually, it wasn't a re-working; it was undoing a version and bringing the show back to what Rodgers& Hammerstein originally wrote. The premier of this ""new"" version took place at the Pittsburgh Civic Light Opera. All of this happened several years ago, but it has been in my thoughts recently for a number of reasons. First, it was directed by Susan H. Schulman whose work has grown in stature over the years. She directed the distinguished Violet this season at Playwrights Horizons and just finished a rousing concert staging of The Boys from Syracuse for the Encores! series at New York's City Center which pleased Howard Kissel of the New York Daily News so much that he claimed he could now ""die a happy man."" In the dancing chorus of Cinderella was one Kathleen Marshall, who, with her brother Rob, soon came to New York where their careers have done nothing but rise. In addition to her Broadway and Off-Broadway work, Kathleen is now the Artistic Director of Encores! and choreographed the afore-mentioned Boys From Syracuse with a masterful sense of humor and feel for the dance styles of the 1930's. Also in Pittsburgh one name above the title was Keith Rice, a powerful young baritone who was ascending the ranks of regional opera companies. His subsequent career took him through the prerequisite stint in Les Misrables, ending him up on the West Coast. I saw him a few years ago at a Hollywood Bowl concert where he and Jodi Benson provided all the singing for an inventively programmed Rodgers & Hammerstein evening conducted by John Mauceri. Los Angeles proved to have one earthquake too many for Keith, so he moved his wife and children to Minneapolis. He is now a featured performer in the Chanhassen Dinner Theatre's State Fair (see story page 6) which has proven to be the single most successful production in the history of that theater. It currently boasts a $1mil+ advance sale (!) and shows no signs of letting up. So Keith will be employed for a while, proving that the Twin Cities can offer an actor both a career and as normal a home life as an actor can possibly have! Playing Joy in Pittsburgh was a performer unknown to me at the time. She was funny then, and she is funny today. She's also become an extraordinary artist - which began to evidence itself when she played a delicious Carrie Pipperidge in an ambitious Carousel at the Kennedy Center in the mid '80s. Today she is Lou Diamond Phillips' new Mrs. Anna in The King and I on Broadway and her name is, of course, Faith Prince. She managed to sweep the New York critics off their feet when they came to see her in the award-winning production this Spring (See story p. 1) In the midst of a very busy Broadway season, it was particularly gratifying to have The New York Times critic Ben Brantley tell his readers that Faith was reason enough to make a return visit to the show. If there's a lesson in these musings it's that you should never second-guess which production of which show in which place will have ramifications for the future. I went to Pittsburgh that summer as the new kid on the block to help solve some problems with CINDERELLA. It boggles my mind to realize that years later, in the course of one week, I would see cast members Faith Prince and Keith Rice in high-profile Rodgers & Hammerstein productions, and a performance of Rodgers & Hart's The Boys From Syracuse directed by Susan H. Schulman and choreographed by Kathleen Marshall in a program of concert musicals that wasn't even conceived until a few years ago. 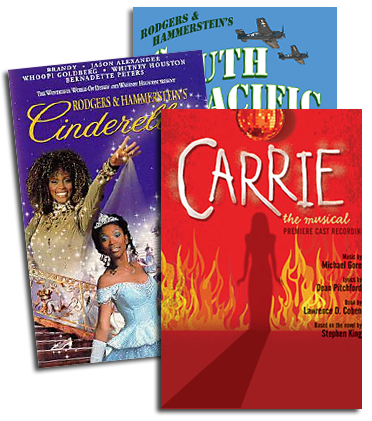 Closing the circle, Pittsburgh Civic Light Opera is presenting our ""re-worked"" Cinderella once again this summer. But getting back to that earlier time, did I mention that another member of the chorus was Charles Bari, who, with his familial name restored, joined us last year to work in the Theater Library as Charles Scatamacchia? You never know."